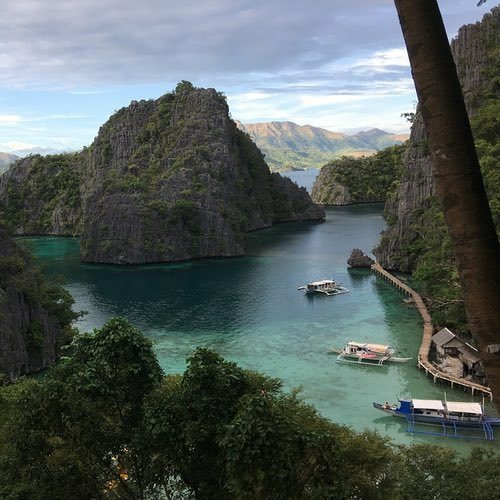 The Philippines are known for both adventure and luxury travel and my last trip to the Philippines included some of both. Banuae is not about luxury, it is about adventure. 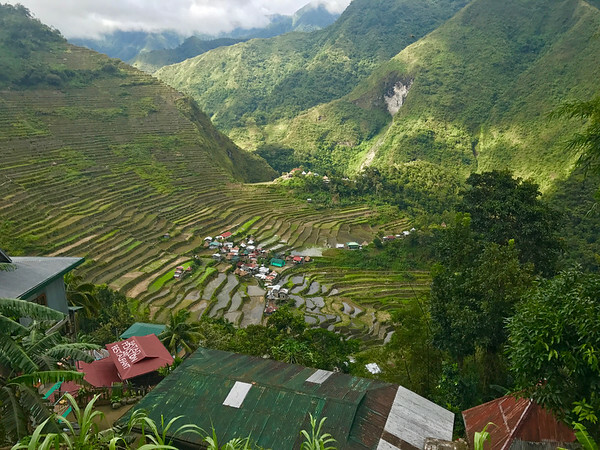 We took a Jeepnee to the nearby Batad and Bangaan rice terraces (see A Love Affair with Jeepneys – Rice Terraces of the Cordillera, Philippines). 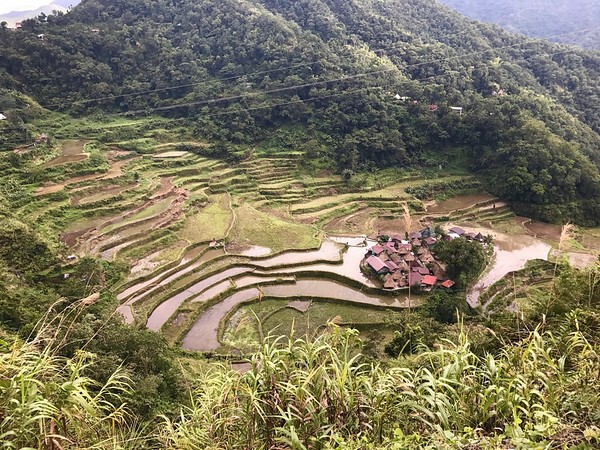 These terraces were built by the local people 2000 years ago up the sides of the hills and were breathtaking… especially when you hike them. 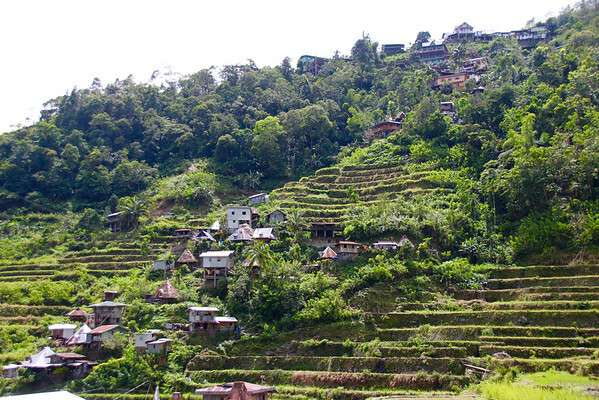 The Rice Terraces of the Philippine Cordilleras is a UNESCO World Heritage Site and justly so. 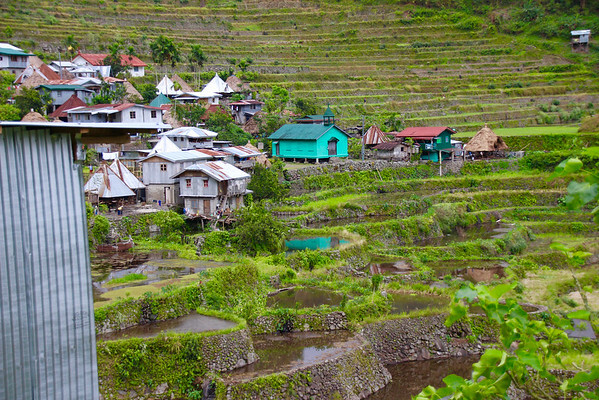 It is a relatively easy 20 minute hike from the end of the road to where you can view the village of Batad. Just a few years ago the road ended on the other side of the hill, so I was grateful they had extended it as far as they did. From the restaurants at the top with a view things get more difficult if you want to visit the village. Hiking down starts with cement steps but part way down the steps become irregular stones stuck in the side of the stone walls of the terraces. In places you are walking along the terrace walls with a rice paddy on one side and a 6 foot drop on the other. I traveled to Bananu in a group of bloggers. One had to opt out part way down the descent because of a bad hip, one needed some help getting back up, one had muscle cramps on the assent. I had to go slower than I wanted because hiking stairs was tiring me out faster than the hikes I had done to prepare for the trip. Three of the bloggers did relatively well despite the heat and humidity. When we were in the village we were told not to take pictures of the locals as local belief held that a picture steals your soul. I can’t imagine what they would think about Instagram. We bought cool drinks in the village. They did not charge enough for those drinks since everything has to be carried into the village by hand. Looking back at my pictures I noticed I took a lot more from the rim than I did down in the village or on the tough climb back out. During the climb my mind was on other things. 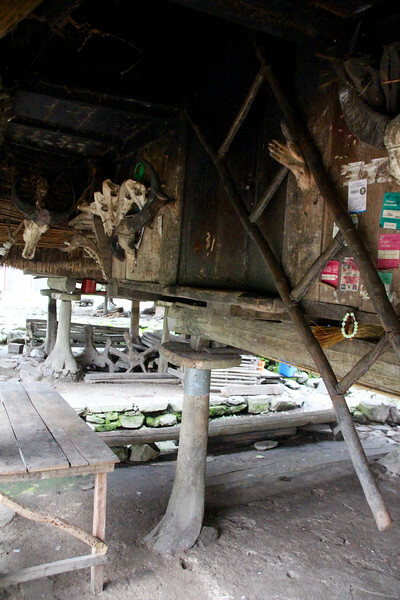 We also stopped at the village of Bangaan which is “only” 100 steps down into the village. By that time, 3 of our group opted out which did mean that I was the slow poke. Our guide had married a woman from the village and had lived in the village for a time. 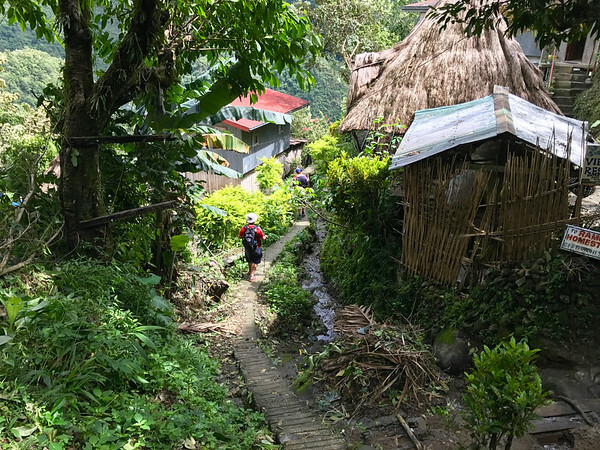 He stopped to visit someone who live din one of the traditional Ifugao houses. The houses are raised off the ground with disks on the posts to keep out any rats that might want to eat the rice in the attic. 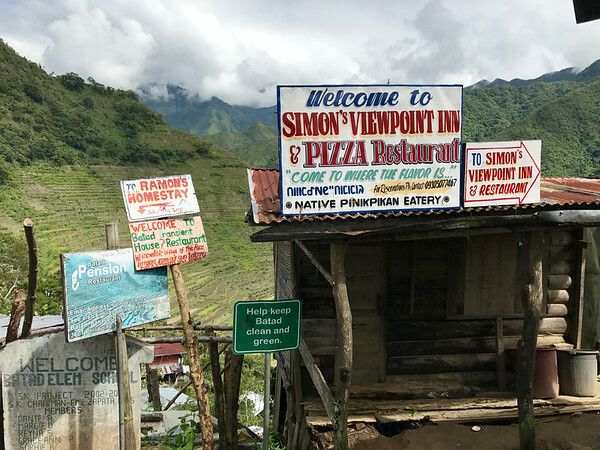 Throw In a ride in and on top of a Jeepney to and from the villages and this trip was a very different view of the Philippines than you can get from the club level of a luxury hotel. It is a more challenging trip, but worth the effort. In Manila, I stayed at the Diamond Hotel where I was in one of the club rooms on the 24th floor. The room itself was lovely but the real treat was the 25th floor club where the service was very attentive. There is something wonderful about being greeted by name by someone who knows what kind of tea you like. “‘Mr Chris, can I get you a cup of Earl Grey tea?” It seemed that the room was always stocked with breakfast, or “snacks” where snacks wee substantial enough to be a meal. I also stayed at the busy Belmont Hotel which is a boutique hotel at the airport. I got some work done by the pool and bar on the roof top terrace where you could watch planes taking off and landing from the airport across the street. 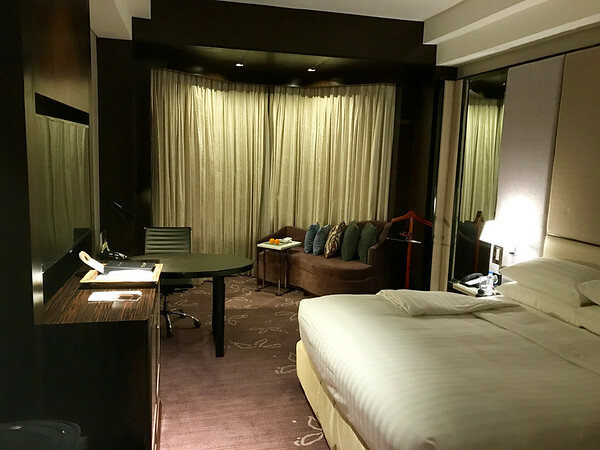 In Manila traffic, even a hotel across the street from Terminal 1 can be 15 minutes away, and as much as an hour away from Terminal 2. By contrast, the Banaue Hotel and Youth Hostel in Banuae is paneled in dark wood like your Uncle Bob’s old rec room. The hotel did not have a club level, flat screen TVs (or any TV at all). It did have a charming cultural show at night that displayed some of the dances from the local Ifugau people. 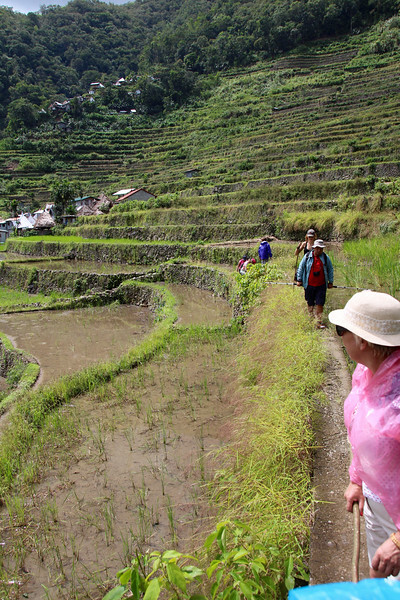 Best of all, it had a view of some of the local rice terraces that attract tourists to the region. 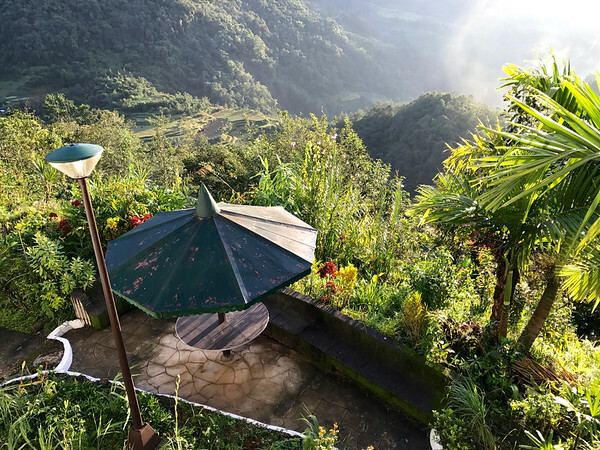 Don’t ask me to choose between luxury and adventure in the Philippines, my choice is a little of both… but next time I might opt for the remote beach instead of the tough hike… although I here there are also volcanos to climb. Glad it was helpful JB! How about their foods. Philippine cuisines are not a healthy food. I have read Philippine foods are unhealthy foods stuffed with sugar like things. I don’t know whether its true or not.